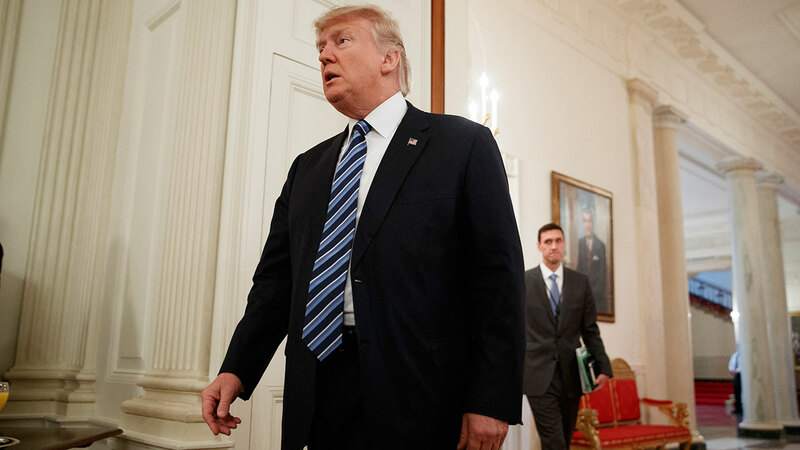 SAN FRANCISCO -- A federal appeals court refused Thursday to reinstate President Donald Trump's ban on travelers from seven predominantly Muslim nations, dealing another legal setback to the new administration's immigration policy. An appeal to the U.S. Supreme Court seems likely and would put the decision in the hands of a divided court that has a vacancy. Trump's nominee, Neil Gorsuch, could not be confirmed in time to take part in any consideration of the ban. Moments after the ruling was released, Trump tweeted, "SEE YOU IN COURT," adding that "THE SECURITY OF OUR NATION IS AT STAKE!" The appeals panel said the government presented no evidence to explain the urgent need for the executive order to take effect immediately. The judges noted compelling public interests on both sides. The court rejected the administration's claim that it did not have the authority to review the president's executive order. While they did not rule on the actual merits of the states' argument that the travel ban was intended to target Muslims, the judges rejected the government's claim that the court should not consider statements by Trump or his advisers about wishing to enact such a ban. Considering those remarks, the judges said, falls within well-established legal precedent. The appeals court sided with the states on every issue save one: the argument that the lower court's temporary restraining order could not be appealed. 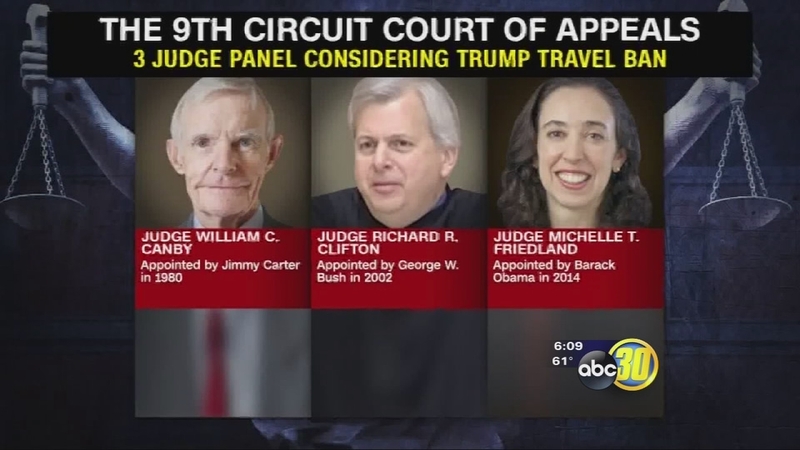 While under 9th Circuit precedent such orders are not typically reviewable, the panel ruled that due to the intense public interest at stake and the uncertainty of how long it would take to obtain a further ruling from the lower court, it was appropriate to consider the federal government's appeal. Both sides faced tough questioning during an hour of arguments Tuesday. The judges hammered away at the administration's claim that the ban was motivated by terrorism fears, but they also challenged the states' argument that it targeted Muslims. After the ban was put on hold, the State Department quickly said people from the seven countries - Iran, Iraq, Libya, Somalia, Sudan, Syria and Yemen - with valid visas could travel to the U.S. The decision led to tearful reunions at airports round the country. The ban was set to expire in 90 days, meaning it could run its course before the Supreme Court would take up the issue. The administration also could change the order, including changing its scope or duration. The three judge panel seemed impatient at times with the Justice Department lawyers claim that travellers from seven predominantly Muslim countries with US visas should be immediately banned from entering the United States.